Hayashi Racing are an institution that has spanned decades of wheel manufacturing and are credited with developing Japan’s first aftermarket alloy wheel — Hayashi Street Fin — which went into production back in 1967. With that many years under their belt, it's no surprise that the company has a back catalog of mammoth proportions, some of which haven't been manufactured in decades. Many of these are super rare and near-on impossible to find today, so it comes with a serious amount of excitement that Hayashi-san is thinking of re-issuing some of his earlier wheels as part of a limited heritage collection. A post on the company's official Facebook page is what has caused all the stir (see below) and the first up for consideration is the 'Bomber' — a three-piece wheel that features a chunky honeycomb-reminiscent face capable of finishing off any shakotan build. The originals were sold for a short period in the first half of the '80s and in small production numbers. A huge 14x10-inch (-38) prototype set has been handmade in order to gauge public interest, the kind of sizing you'd find on period-correct cars like an over-fendered Hakosuka. 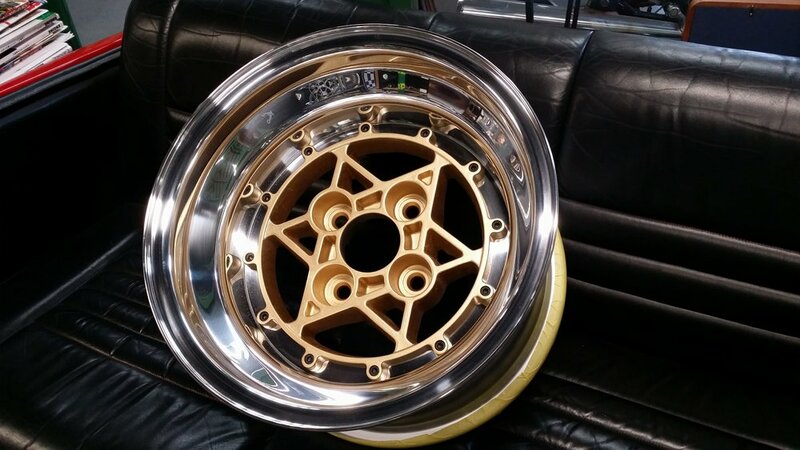 However the post states that a more AE86-friendly 14x8-inch (–12) sizing is most likely to be the final form. The run size will be small, seriously small, with just 20-25 sets available globally and sting you roughly $4.5k USD ($6.2K NZD). Hit up your local Hayashi Racing dealer to see if you'll be one of the lucky ones and if it all pans out then Hayashi is looking at bringing back even more golden-era goodies.